SHE has been one of US President Donald Trump's closest, most prominent aides - and recently had a starring role in peace talks with North Korea. 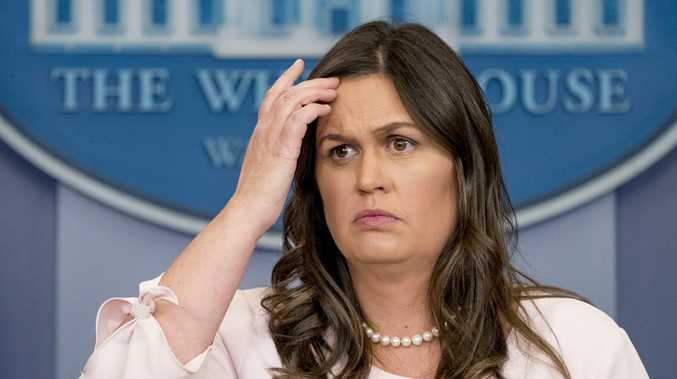 But reports from the US now say that White House Press Secretary Sarah Huckabee Sanders is set to leave the White House. CBS News reports that Sanders and Deputy Press Secretary Raj Shah are both going to leave the Trump Administration. According to "sources inside the White House and close to the administration," CBS reported that Mrs Sanders "has told friends that she plans to leave the administration at the end of the year." The network said Mr Shah also is considering an exit, but details of when he may leave are not confirmed.